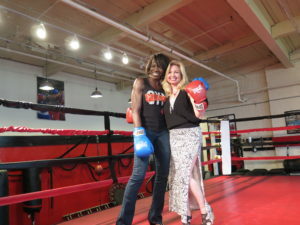 JUNE 12 th NJ DISCOVER LIVE TV SHOW: JACKIE ATKINS, NJ Boxing Hall of Fame, CRYSTAL WOODS, American Natural Bodybuilding Federation; “World Class Women Athletes Where You Least Expect Them BUT Life Journeys MORE Amazing” with co-hosts Tara-Jean and Calvin. TUNE IN!! 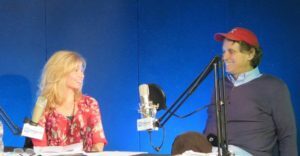 We’ve been doing our NJ Discover TV Show for three years. Each show has an origin, etiology, evolution but I never took the time to discuss in the promo article (which this is) how each show began and came together. But I must do it now; as I squint in the silvery light of the moon, stars and a passing asteroid in a perfect celestial benign alignment. 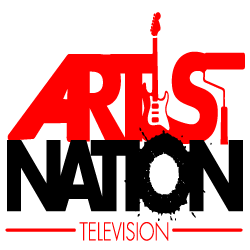 Indeed, this show was meant to be with its provocative title, content and most importantly, special guests. Last November I attended a comedy show at the Headliner Night Club produced by Matt Swartz. In between sets, he introduced me to his friend, Jackie Atkins and mentioned that she was in the New Jersey Boxing Hall of Fame. Being a consummate groupie, Jackie and I did a photo op. Her place in New Jersey history resonated with me for months, sensing she was ‘someone’ that would find a place at NJ Discover, after all, our mantra is to elevate and promulgate people and places of New Jersey. The notion of Jackie Atkins then resided in one of my cerebral storage units. Calvin with Crystal Woods working on biceps. A month ago I received a Facebook message from Crystal Woods mentioning to me that she got my name from Tim Lucas, artist, also known as Dr. Sketchy. Crystal was looking for media coverage for an important American Natural Bodybuilding Federation event in September in Springfield. She had asked Tim if he knew any good central Jersey journalists. The names of Tara-Jean and Calvin Schwartz surfaced. 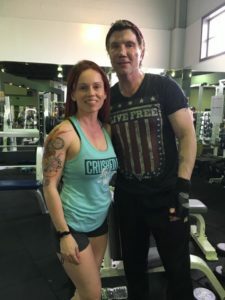 Before responding to Crystal, I did some googling and Facebook research and to my amazement, I discovered how accomplished she is in bodybuilding. A few days later, we spoke and the bright bulb went off and I retrieved memory bits about Jackie and asked Crystal if she was interested in being a guest on NJ Discover LIVE. It happened right there on the spot. The alignment began. Jacklyn Michelle Atkins, also known as “Coach Jackie” is a native “Jersey Girl”, born in Monmouth Medical, Long Branch, NJ and residing now in Neptune, NJ. Jacklyn Atkins graduated from Red Bank Catholic High School. It was here that she began to excel as an accomplished athlete, competing in gymnastics, track and field and martial arts. Her accomplishments in track and field earned her notoriety, scholarships and an induction into the NJ Track & Field Hall of Fame. Jackie set records in the 440 yard dash in both regional and national competitions. She also anchored the championship RBC mile relay team at the Penn Relays. In addition to her loving parents, Grace & Joseph Atkins, her track coach, Jack Rafter played an important role in her developmental years. Rafter taught the fundamentals of elite training, hard work, dedication and removing all obstacles as his training ethic and rules for living. Jackie’s coaching style is modeled after Rafter’s teaching and she recites many of his mottos during training sessions with the youth attending her gym. Jackie attended North Carolina State University& CUNY and pursued her Bachelor of Science degree in Computer Science. In 1982 she began her career in Software Development. During her professional career, Jackie always found time to volunteer teaching young athletes fitness, boxing and martial arts. In June 2012, Jackie retired after 28+ years of service from AT&T Bell Labs/Avaya as Executive Director of Research & Development. In her executive role, Jackie led global teams developing computer telephony software. Her team developed the first CTI application deployed in thousands of call center operations. Jacklyn then stepped out on faith and pursued her passion – elevating & educating youth in boxing and in life. 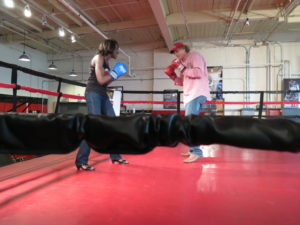 Jackie revived the Long Branch PAL Boxing program and introduced life skills and youth martial arts to the curriculum. 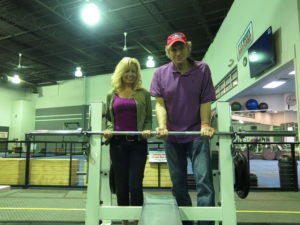 Jackie partnered with Bruce Silverglade of Gleason’s Gym Brooklyn, to birth Gleason’s Gym Jersey Shore in Long Branch, NJ and Gleason’s boxing at the Mercedes Club in Manhattan. Atkins continues to house the PAL program in support of the community of Long Branch and has partnered with Long Branch Police department and Youth Services to serve at-risk youth. She recently birthed the New Jersey Give a Kid a Dream Program (NJGAKAD). 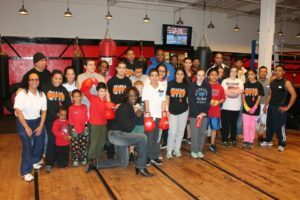 The GAKAD program (www.njgakad.com) leverages the focus and discipline of boxing to engage at risk youth while supporting them with the challenges they face in today’s society. Jackie’s goal is for the youth to become CHAMPIONS of life… living a healthy, productive lifestyle inside and outside of the ring. As she has been given the opportunity to live life abundantly and achieve her goals, she truly believes every youth deserves the same chance…. Jackie fell in love with the sweet science during her teenage years while training at the Red Bank Police Athletic League. Her accomplishments in boxing and martial arts earned her the Women’s 152 lb. National Golden Gloves title, Ringside World Champion at 141 and 152 weight classes and Women’s 2004 NJ Kickboxing Amateur champion. Atkins retired from kickboxing competition undefeated after earning her black belt in Shodokan, training and elevating with Grandmaster Bill “Superfoot” Wallace. Jackie paved the way for women to compete in boxing at the United States Military Academy at West Point. She coached the newly formed team for two years, winning the first USIBA National Collegiate Championships in April 2012. In her first year at West Point, the team won the team title in addition to winning 4 National Gold medals, 4 National Silver Medals and one bronze medal. 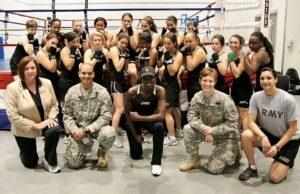 In Atkins’ second year coaching the team, the West Point Women’s Boxing team repeated their prior year performance, winning the 2014 USIBA National Collegiate team championship and bringing home 4 Gold Medals, 3 Silver and 1 Bronze. Atkins traveled with the New Jersey State Championship team to the USA Nationals in 2011 and 2012 bringing home Gold, Silver and Bronze. As head coach, Atkins’ led the Long Branch Boxing team to victory claiming the 2012 female 141 lb. Golden Glove Championship, three 2012 New Jersey State Championships, three 2012 NJ Diamond Glove Champions, two 2013 NJ State Champions & New Jersey Diamond Glove Champions titles and in 2014, winning the gold in the novice 123 lb. weight class NJ Diamond Glove & New Jersey State Championships. Coach Jackie was recently elected to the position of President for the NJ Association of USA boxing, after serving two terms on the Executive Board. In 2014, Coach Jackie was inducted into the New Jersey Boxing Hall of Fame as Coach of the year. 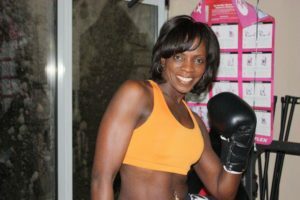 She is a nationally certified personal trainer, AIBA Star 1 Internationally accredited boxing coach, USA Boxing level 3 official and NJ State Athletic Board Inspector. Jackie recently completed Krav Maga International Instructor training certification in Tel Aviv, Israel in July 2014. Jackie serves as President of the Lay Organization at Allen Chapel AME Church. She is the proud mother of two lovely daughters, Tynaya and Sade. Both girls have been very supportive of their mother and the many youths she has embraced over the years. I am a 42-year-old mother of two (ages 21 & 24) working full time as an RDA/CDA in private practice specializing in pediatrics and specials needs for the last 15 years and currently studying for my NSCA CPT. When I’m not at work I spend my time helping others reach their fitness goals both for health and stage as a posing coach and co-owner of Team Synergy and Science. If you had asked me 5 years ago if I could imagine myself happily engrossed in a fit lifestyle I would have laughed. I was very sedentary in my lifestyle, work, home, and the occasional event. I was very much a homebody just uncomfortable with myself and life. Now I can’t imagine life any other way, I have more confidence than I ever did not just with my outward appearance, but in my abilities. Touching other people’s lives, educating and helping them to live better fills my heart and lets me know I found my purpose in life. In 2012 I decided to quit smoking, disgusted with what I was doing to my health and the way my hair, car, and clothes smelled I quit cold turkey. In an effort to stay focused and not relapse as well as gain more weight as a result of quitting I joined a gym. I had been active as a kid, playing sports and as a young adult chasing after two small children, but a gym was something new to me and I admit intimidating. 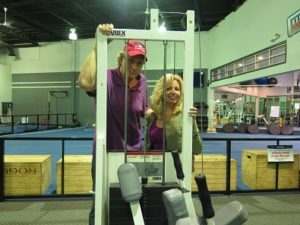 I started out on the cardio equipment, but wanted something challenging and I was hungry to learn. I started asking the manager/ head trainer questions that he was very happy to answer and excited that a woman was interested in weight lifting. I began to train six days a week, getting stronger and more confident in my ability. At 5″2 and 127 pounds my trainer saw potential as a competitor and after much contemplation I decided to enter my first figure competition, but first I had to focus on training and nutrition. In September of 2012 after 8 months of hard training, quality nutrition (macros, iifym) and almost 30 pounds I took the stage and won my first figure competition. Over the last five years I have competed in 20 stage competitions earning my figure and bikini procards in multiple organizations, and when in the off season I like to compete in powerlifting in the 114 weight class (NJ State powerlifting record holder with the USAPL and WNPF) . As a way to give back to an amazing sport I sit on the board of the ANBF (American Natural Bodybuilding Federation) and frequently judge for multiple organizations. Its more than just competing, it’s the camaraderie in the gym, the support backstage, the community of likeminded people pushing one another to their best. My nutrition is balanced for my goals as well as my mental health. I follow iifym (if it fits in your macros) adjusting choices depending whether I am in prep for a competition or off season trying to gain muscle. I have no food allergies so there is no food group that I cut out of my diet and with a good metabolism even in my lowest deficit I am still able to enjoy most anything. I always start my meals with a protein (chicken breast, ground turkey, lean steak, lean ground beef) and build my meals around that adding in carbs and fats. A typical day in prep looks like the following. Tracking my macros and following iifym allows me variety, flexibility, and more importantly allows me to still be able to enjoy time with family and friends for special occasions or at an event. As the saying goes “give a man a fish you feed him for a day, teach him how to fish and you feed him for a lifetime.” After finding a fit lifestyle I now know how to eat for life not just for a moment. When I am in my off-season the goal shifts from leaning out to giving the body a rest from being in a deficit and to gain muscle. This also provides a much needed mental break from the rigors of competition and constantly tracking to a laxer nutrition regimen. Preparing my food daily does not change and quality foods are still a must, however, what changes is the constant weighing of food gives way to eyeballing and if I fancy a small slice of cake at a party I allow myself the indulgence. The key is to find that ideal off-season weight, eating slightly above maintenance in conjunction with a good strength training program. Patience- there is a learning curve to meal prepping in the beginning, especially if you’re tracking macros, as with anything you will get better and quicker with practice. Maintaining a good relationship with food. Allows better adherence for long term lifestyle goals. Preplan – The most time-consuming part of meal prep is protein. Have multiple protein sources pre-cooked for the week making each day quicker and easier. Constancy is the key to success, in your training and nutrition. Follow a good strength training program, building muscle increases metabolism. A caloric deficit is required to lose weight, as you reduce calories you may have a moment of weakness and indulge. Being human is ok, but don’t let that one indulgence derails your mindset. You can recover from a splurge by getting right back to it. Stay the course and you will succeed. We don’t all start our journeys from the same place and our reasons for beginning are all different. Remember to always enjoy the process of learning and changing and never compare your journey to another person. This is an amazing life and living fit allows us to extend it to the fullest with quality.